Today is Leonard Cohen’s 82nd birthday, and he’s marking the occasion the way you’d expect: a little cake and a few rounds of pinball, followed by some apocalyptic brooding about murder and misery. That last, foreboding present is actually for us to open in the form of a chilling new single titled “You Want It Darker,” which was released in tandem with the announcement of Cohen’s forthcoming, 14th album of the same name. Due on Oct. 21—appropriately enough, just in time for Samhain and the beginning of the “darker,” more Cohen-appropriate half of the year—You Want It Darker continues a renewed period of productivity for Cohen that’s included 2012’s Old Ideas, 2014’s Popular Problems, and several extensive world tours. That Cohen is still releasing and performing music at his age, after nearly a half-century in the business, is particularly welcome in a year marked by the deaths of other seeming immortals like Prince and David Bowie, whose Blackstar was similarly a birthday gift that immediately became a portentous omen in the wake of his passing. Given Cohen’s age, it’s difficult not to read a sense of finality into his own muttering of “I’m ready, my Lord” here, which he delivers in a subwoofer-shaking, cryptkeeper’s growl. That’s especially true in light of the letter he wrote to long-ago muse Marianne Ihlen last month, promising he wouldn’t be far behind her. 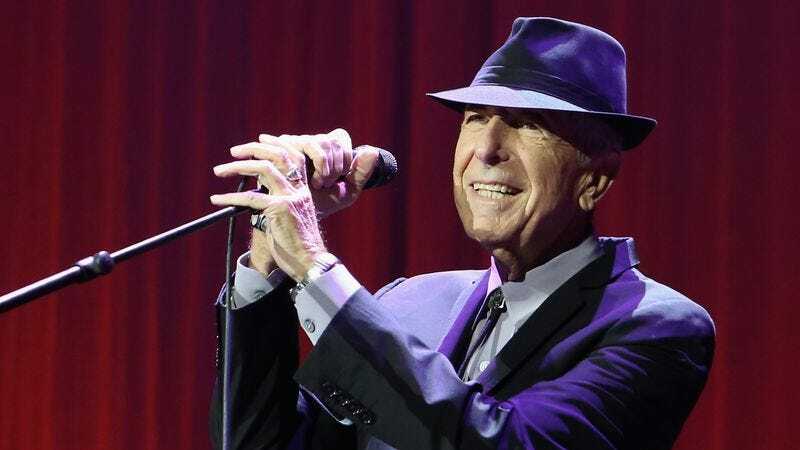 But then again, Cohen—dubbed a Serious Old Man way back in ’85—has been contemplating mortality since his very first album, yet still he’s returned enough times to shift the definition of “late-period Leonard Cohen” by several decades. So for now, let’s just welcome another entry into that estimable catalog and be comforted by the fact that he’s still here, discomfiting us in the way only he can. “You Want It Darker” is a hushed, haunting number described as “an unflinching exploration of the religious mind” whose dark night of the soul rumination is given a reverent, churchly stillness by backing vocals from Cantor Gideon Zelermyer and the Shaar Hashomayim Synagogue Choir. If Cohen really is ready to take his leave, this is a beautifully fitting parting gift.